All winners receive one free pass to MIPIM worth £1840 (2050 Euros). All entries will be published in the official AR Future Projects catalogue, which will then be distributed to all MIPIM delegates. Entries are assessed by a renowned international jury, providing invaluable exposure for your practice. Find out how the awards can position your brand in front of design industry leaders. The AR MIPIM Future Projects Awards are a window into tomorrow’s cities and provide sponsors access to the most exciting group of architects on the planet. We provide the opportunity for our clients to align themselves with innovative designers from across the globe and package this together with a marketing, PR and communications programme across 130 countries for a period of seven months. If you’re interested in working on the best future projects from across the globe, this is the sponsorship opportunity for you. 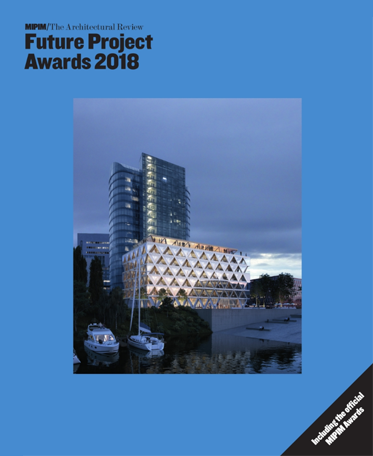 All entries are published in the official MIPIM Architectural Review Future Projects catalogue. The catalogue is distributed to all MIPIM delegates, maximising your exposure to potential clients. See a preview of last year’s catalogue here.